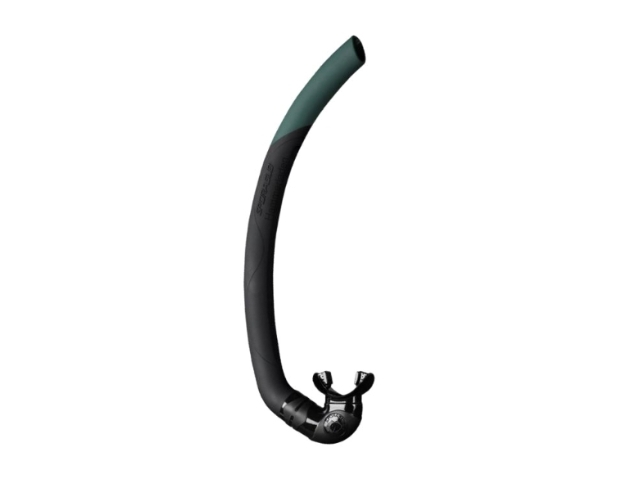 • The Breeze Snorkel has been conceived exclusively for spearfishing. • The tube is moulded in two types of materials with different hardness. • Three-fourths of the tube, in the lower part, is made with a semi-rigid thermalplastic material. 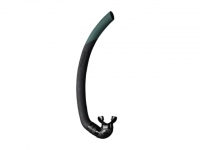 • The stiffness of this part of the tube helps avoid annoying vibrations during reascent and doesn’t allow for crimping, which leads to a reduction of the air-passage section which is under the pressure of strap of the mask. • The upper part, in green colour, is made with a much softer material. • This reduces any sounds if bumped against rocks and allows for easy bending of the snorkel if it becomes blocked, thus making cave fishing safer. • The Breeze snorkel is made entirely with a non-reflecting satin finish. This Product was added to our catalogue on Tuesday, 19. May 2009.